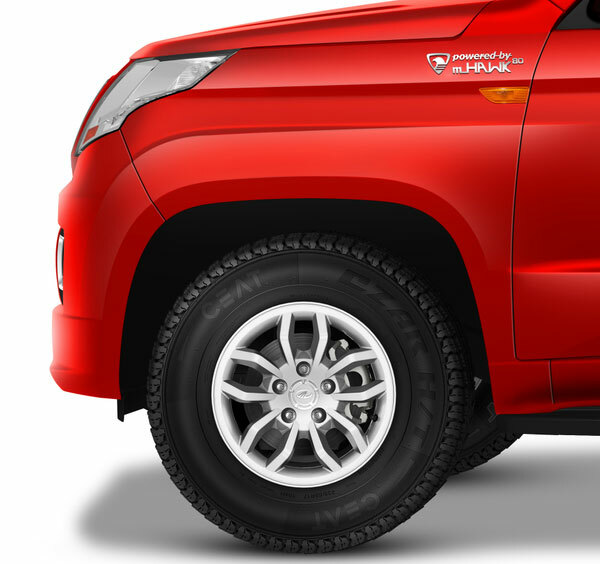 M&M has already scheduled the launch of Mahindra TUV300 on September 10th. The bookings for Mahindra’s new SUV is already open and the deliverables is expected to happen by September 17. We are quite close to the launch date, and there are reports that the upcoming TUV300 would be getting the Micro-hybrid technology. September 17 also marks the Ganesha Festival and Mahindra fans have one more reason to rejoice. This is not the first compact SUV from Mahindra, the first compact SUV from Mahindra is Quanto. TUV300 is the second compact SUV from Mahindra. One can make out the angular and upright design by looking at the spy photos of TUV300 which are floating on Internet already. One of the Mahindra spokespersons speaking about the upcoming TUV300 has clarified that the model name has to be pronounced as TUV 3 double O (TUV 3OO) and not as TUV 3 Hundred (TUV300). The interiors of Mahindra TUV300 would be getting the dual-tone upholstery with a number of creature comforts and safety features. TUV300 is of 5+2 layout, meaning the seats in the last row are jump seats. One would get the ABS (Anti-lock braking system) and dual-front air bags as a default offering even for the base variant. 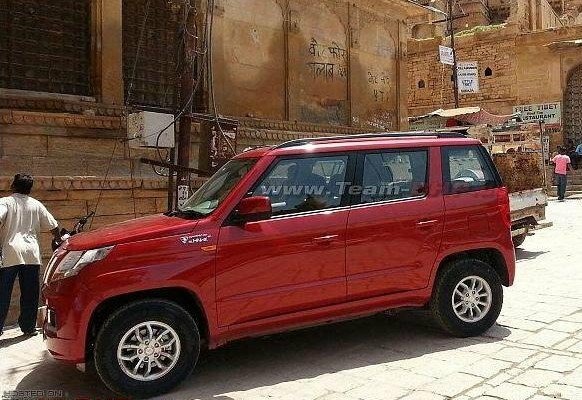 Various Mahindra dealers across the country are quoting that the new TUV300 would be getting the micro-hybrid technology, the technology which is used in Mahindra Scorpio. Additionally this model is expected to come with engine start-stop system in order to save on fuels and increase the fuel economy. Mahindra TUV300 would also come with new Eco mode which is present in cars like Tata Bolt and Zest. Essentially the Eco mode helps balance the engine’s power and AC usage in order to deliver the best fuel economy. The TUV300 is going to be powered by new nHawk80 1.5 litre diesel engine. The base variant of Mahindra TUV300 is expected to be 7.3 Lakhs (ex-showroom price).